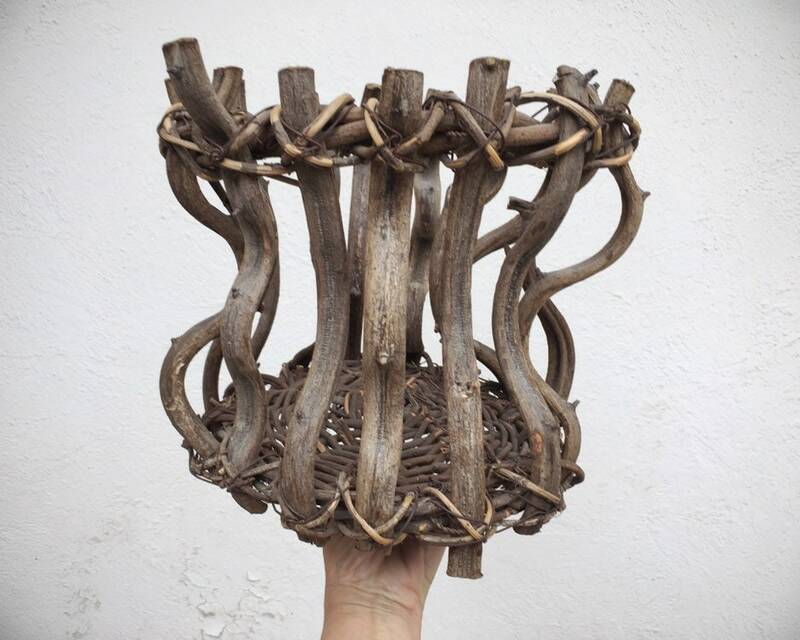 This organic shape of this basket is appealing, made with 15 slightly wide and flat yet completely gnarled sections of mature wisteria vine, which takes on these otherworldly shapes. 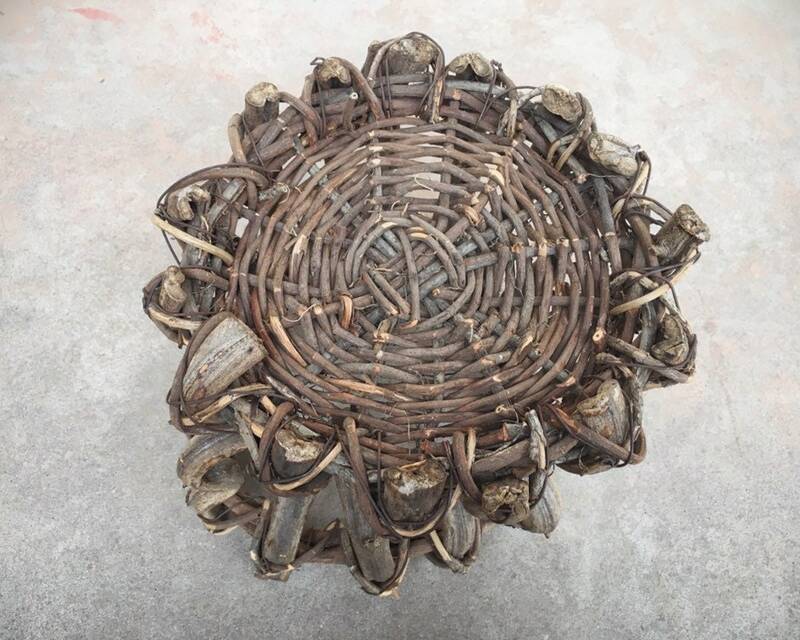 It came from the estate of a collector of baskets. 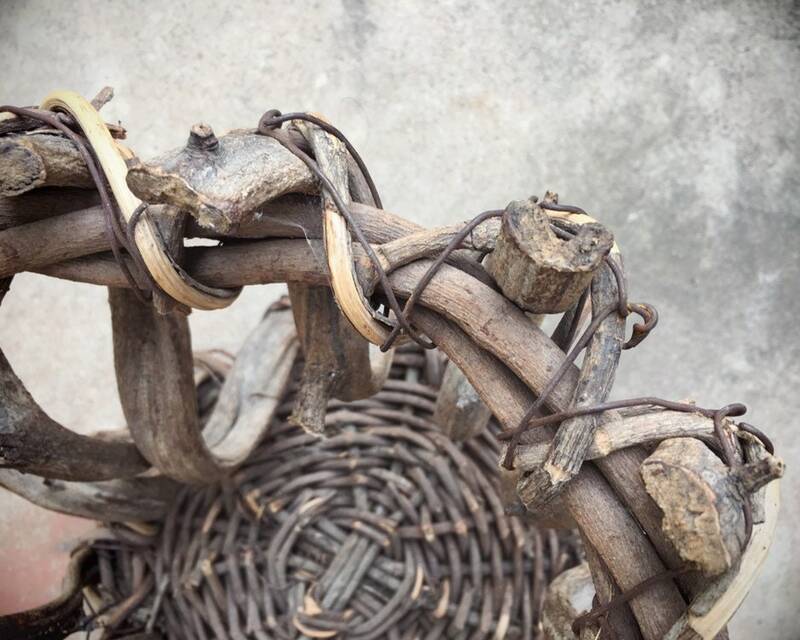 The vertical pieces are held together at the top with both vine "rope" but also very rust old metal wire, the kind used for repairing fences. 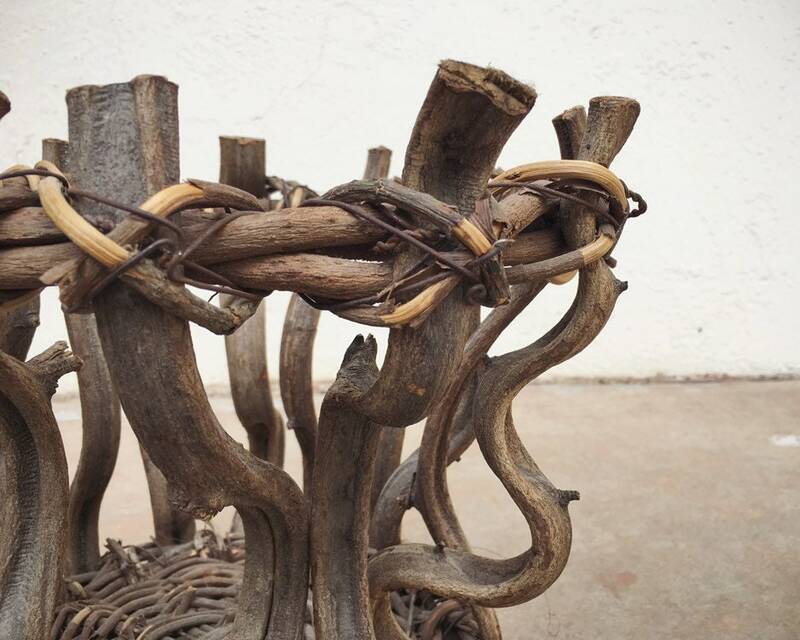 A great piece to use mainly as décor, for the completely unusual and beautiful shape. 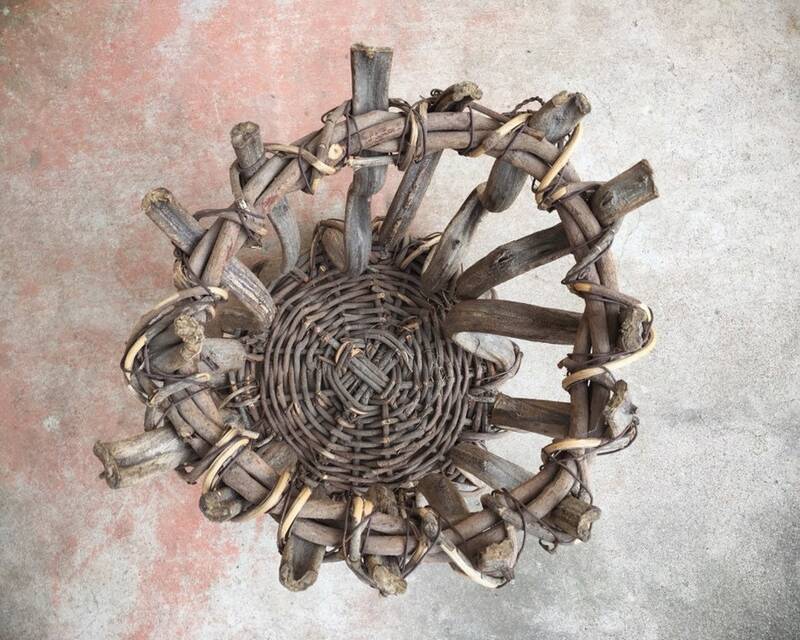 Understandably, a basket with age such as this will be rickety and somewhat fragile. Measures about 10-1/2" tall by about 10" in diameter at the base and the same at the mouth, although many of the wavy vines lean outwared at the top (some lean inward, too). 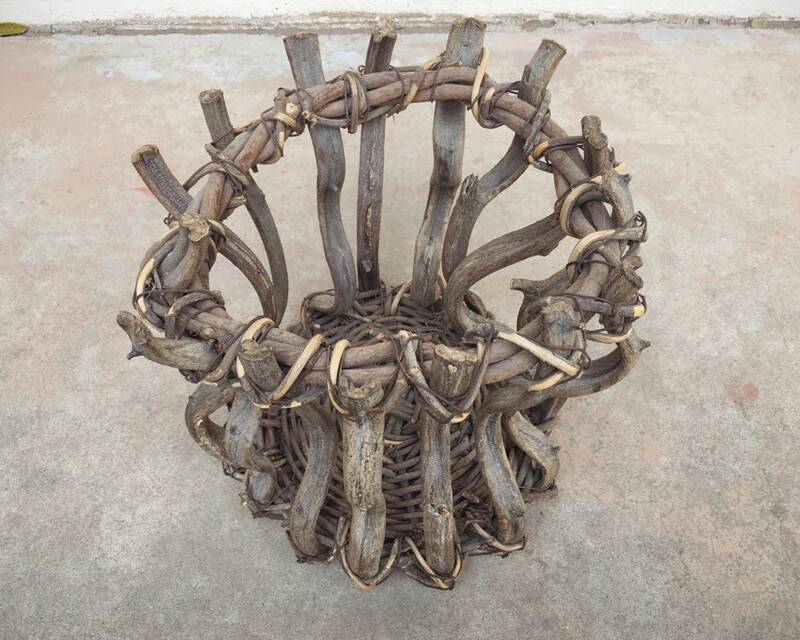 The basket infrastructure is sound yet should be handled with care. 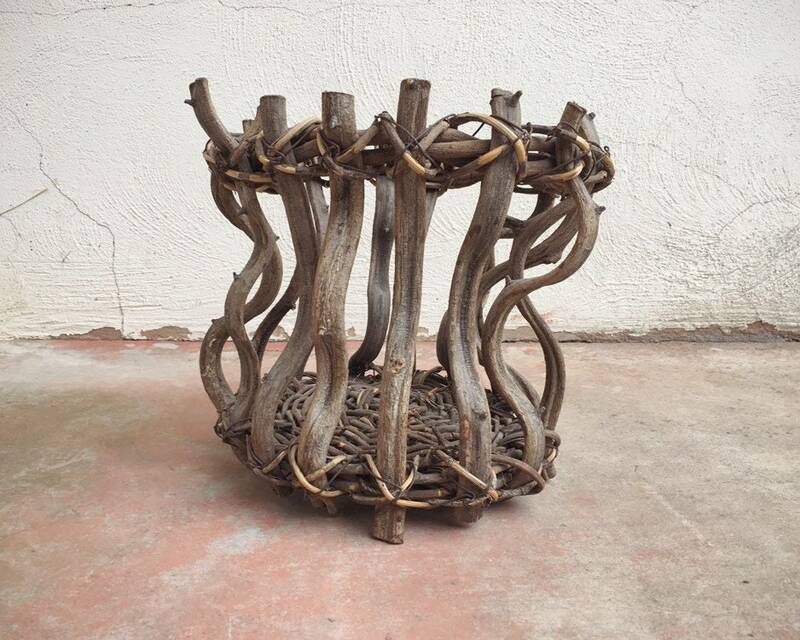 A wholly unusual and beautiful piece!